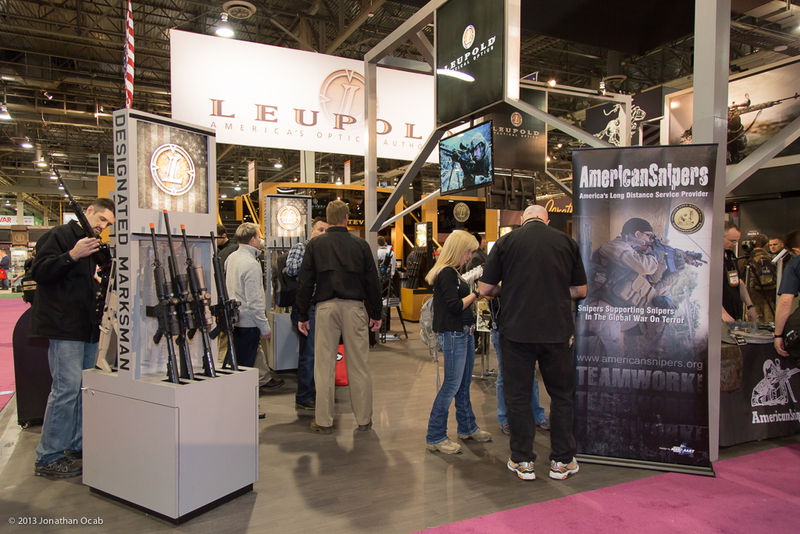 Continuing on from the initial coverage of SHOT Shot 2013 I had published in an earlier post, there were a couple interesting new ammunition offerings introduced at the 2013 SHOT Show. 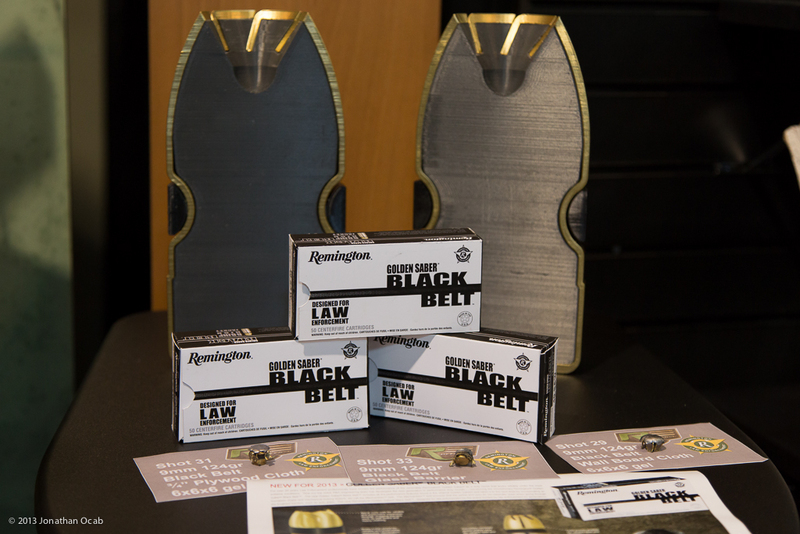 Remington showed off their new Golden Saber Black Belt defensive ammunition line. The “Black Belt” name is branding for Remington’s ‘MechaniLokt’ technology which is the visible black colored belt/band around the bullet that locks the jacket and bullet core together. 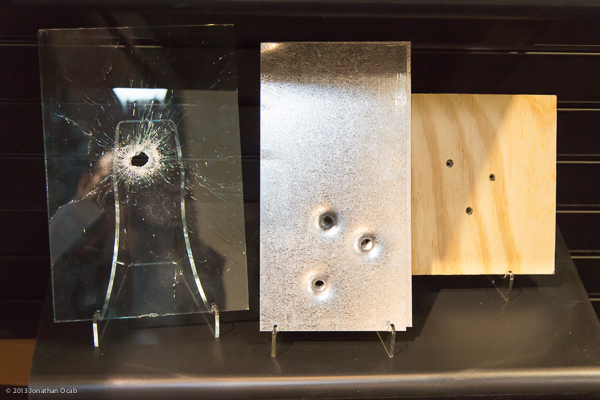 The MechaniLokt in combination with an hourglass shape to the bullet is intended to control expansion and penetration while maximizing bullet mass retention during penetration. I feel that this is Remington’s response to Hornady’s FTX bullet that is used in Hornady’s Critical Defense and Critical Duty ammunition which were introduced at last year’s SHOT Show (2012). Considering Remington is a major player in law enforcement duty weapons, they needed ammunition that could provide equal (or better) performance to the Hornady Critical Defense/Duty ammo in the FBI barrier testing protocols, otherwise they risk losing market share in the law enforcement ammo arena. 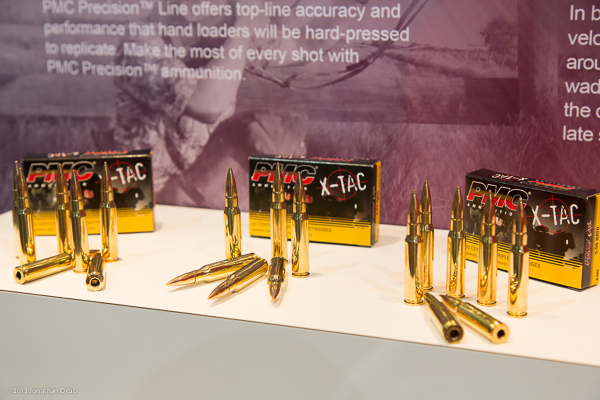 PMC released a new line of ammunition dubbed X-Tac and X-Tac Match. PMC has long been producing and selling less expensive ammunition to the civilian market for decades, yet still maintaining respectable quality control and reliability. But PMC ammo has always been thought as being ‘plinking ammo’; ammunition for recreational shooting as opposed to competition or for critical use. The X-Tac and X-Tac Match is designed for accuracy and critical use. The X-Tac is appears to emulate US Military issue ammo with 55gr and 62gr bullets in 5.56 NATO. Whereas the X-Tac Match line is meant for competition shooting (or other applications where accuracy is critical) with three offerings: .223 Remington 77gr OTM, .308 Winchester 168gr OTM, and 50BMG 740gr solid brass. The X-Tac .223 and .308 offerings both use Sierra Bullets. The .223 Remington 77gr OTM offering is the most interesting to me since I come from a High Power Service Rifle competition background, and 77gr is the de-facto standard in Across the Course. It is nice to see another factory ammo option for High Power Service Rifle shooters. I had walked over to the Trijicon booth and noticed one interesting new item which is their new “Bright and Touch” night suppressor sights. Suppressor sights are basically iron sights that are taller than traditional stock sights and are used with suppressors since you will need the extra height on the sights so your sight picture can clear the muzzle end of the suppressor. But reflex sights like the Trijicon RMR are also becoming increasingly popular in pistol applications and suppressor sights allow for the co-witnessing of iron and reflex sights. I found this new offering from Trijicon interesting in a more personal level since I am actively in the process of configuring my Glock 17 for the Trijicon RMR (see: https://www.ocabj.net/glock-17-and-trijicon-rmr-preview/). The self-luminous Trijicon suppressor sights are very new and are currently being produced for Glock pistols only. 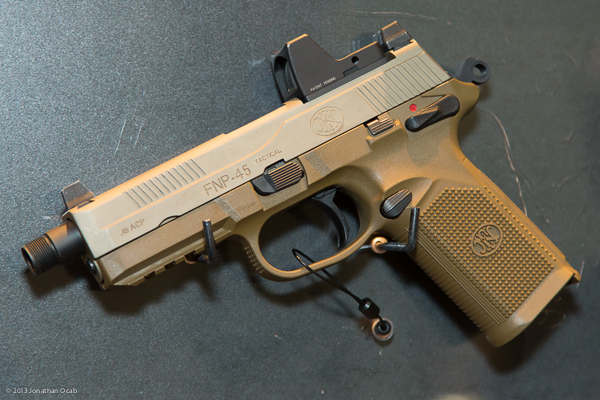 Other pistols models (such as the FNP-45 above) should follow shortly after. 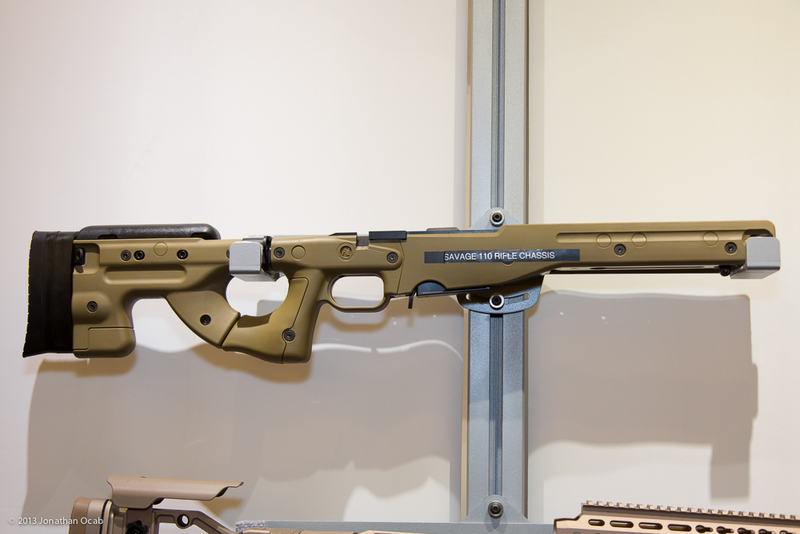 The Accuracy International AICS for Savage rifles is finally in active production. This item was actually introduced at last year’s SHOT Show, but it has been a mythical unicorn for quite some time until just in the past couple months as AICS systems for the Savage are showing up at dealers. It is important to note that this AICS chassis will only fit a specific range of Savage 10 short actions: those with 4.4″ action screw spacing and the side bolt release lever. I cannot definitely state what years of the Savage 10 this applies to, so you will have to do your own research on your own specific Savage if you’re looking to get the AICS. Stay tuned for a third and final post regarding the 2013 SHOT Show with my basic opinions about this year’s show.